This post has been viewed 1144 times. 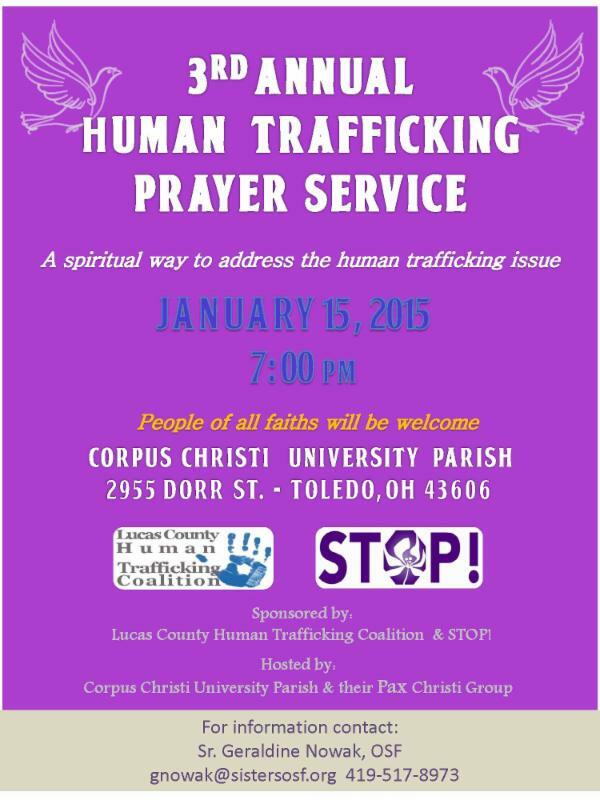 Join the Sisters of St. Francis, Lucas County Human Trafficking Coalition and STOP for their 3rd Annual Human Trafficking Prayer Service - giving the local community a spiritual way to address the issue. For more information contact Sr. Geraldine Nowak, OSF at gnowak@sistersosf.org or call 419.517.8973.